While technology is important, training is critical. We utilize the very best in pet containment technology so we can train your dog in the most gentle way possible. Our certified trainers use a hands-on, low stress dog fence training method. The result: a dog that learns a concept of staying in a pet fence boundary in a fun, motivated, and playful way. Low Stress Training offers a modern answer to a more respectful and fair training method. Rather than attempt to contain your dog with painful zaps, we use a unique gentle approach that has produced outstanding results. 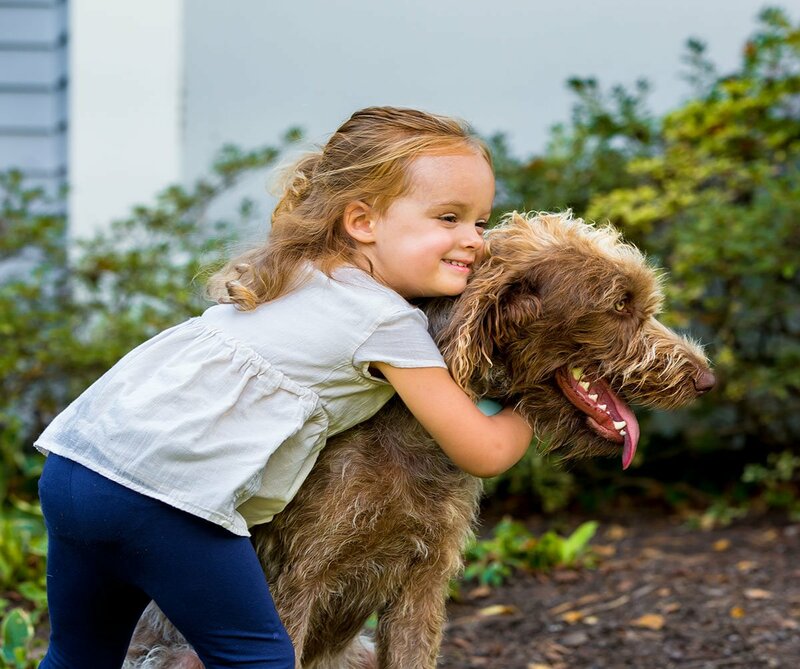 Our training method is so effective that owners only need to spend 5-10 minutes, three times a day, during the five-day training phase, to teach pets their new boundaries. Dogs love the training because it is painless, fun, upbeat, and comes with lots of tasty treats! will customize the training experience to what best suits your pet and provide the initial fence training to get you started. Most pets are trained to the fence in less than 2 weeks, and if your pet requires follow-up training, we will assist you. Contact us today to learn more about our GentleSteps™ training. will teach your dog his new hidden fence, and it will do it without frightening or stressing him out. As the name implies, this training uses numerous tiny little steps of harmless static corrections that feel much like tickles. The tickles really do feel like tickles, and we encourage you to feel them for yourself.